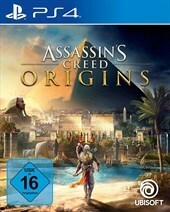 In Assassins Creed Origins könnt ihr 68 Trophäen (Trophies) freischalten. Die folgende Liste zeigt euch alle Trophäen und die Bedingungen zum Freischalten auf einen Blick. Reach level 55 (The Curse of the Pharaohs). Acquire Eternal Maw for use outside the Afterlifes (The Curse of the Pharaohs). Complete the 5 Serqet locations (The Curse of the Pharaohs). Craft an upgrade using Shards of a Star (The Curse of the Pharaohs). Kill a Mummy by setting it on fire (The Curse of the Pharaohs). Defeat Tutankhamun in the Afterlife (The Curse of the Pharaohs).